At Specialized Mechanical we have a deep commitment to service. Whether your needs are for residential electrical repairs or for commercial electrical service we have qualified, licensed electricians available to provide 24-hour emergency service. 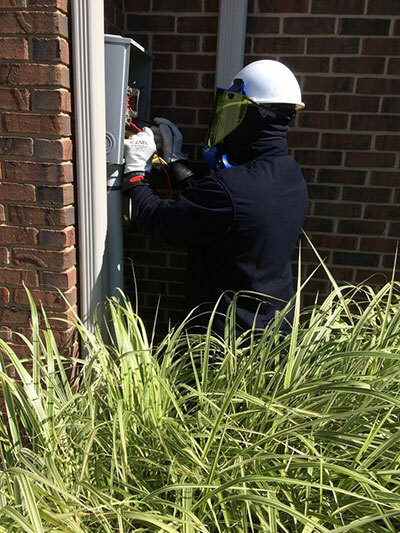 Our friendly electricians are specifically trained in all aspects of electrical repairs. Specialized Mechanical proudly serves all of the Richmond, Indiana and surrounding areas. The needs of every individual customer are meaningful to us at Specialized Mechanical. Our focus of providing quality services combined with honesty has made us the first choice of many residential and commercial clients through out Western Indiana. You can count on us to provide all of your electrical needs, day or night. Our focus at Specialized Mechanical is complete dedication and affordable service to our customers. We guarantee to provide you with a friendly professional, highly qualified, electrician on every job and we take pride in our performance by providing you with unparalleled service. Whether you require a simple electrical repair or replacement of a circuit breaker or a complete design and installation of an entire electrical system, Specialized Mechanical is the company to contract to get the job done right, on time and on budget.